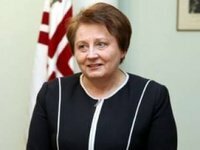 Latvian Prime Minister Laimdota Straujuma said that Ukraine and Georgia will receive a visa-free regime in 2016, if they meet all the necessary criteria this year. "For both Ukraine and Georgia it is important, if they should meet all the criteria by the end of the year, which will be stated in a new report of the European Commission, it is likely that next year these countries will be granted visa-free travel," the Latvian prime minister told journalists before the plenary session of the Eastern Partnership summit in Riga on Friday. Ukraine and Georgia are counting on a clear signal about the prospects for the introduction of a visa-free regime with the EU countries at the Eastern Partnership summit.